Experience the world and bring our authentic service with you every step of the way. Earning a 2017 Cruizie Award for Best Small Ship Cruise Line for LGBTQ Passengers, and voted by LGBTQ cruisers as Best Small Ship Cruise line for six consecutive years, we provide the perfect way to unwind after a day of onshore discovery, a place to connect over drinks, and a sunny (or starry) spot to soak it all in. When you cruise with us, we’ll roll out the rainbow carpet with activities and events that embrace and celebrate your community and your allies. Meet & Mingle cocktail parties in the Living Room. Destination-themed programming. World-class entertainment. You won’t find any empty gestures from us. From port to port, our friendly international staff and ample onboard amenities ensure every leg of your journey is as comfortable and accommodating as the last. We take extra care to make sure our intimate, club-like ships travel to more unparalleled destinations to discover immersive cultures in both famous hotspots and hidden gems. Dive deeper with more time on land to tour Cuba’s colorful architecture and bustling Salsa clubs. Go beneath the surface with more overnight stays to enjoy a quaint bed & breakfast in the Tuscan countryside. Explore beyond the ordinary with more nights in port to attend one-of-a-kind shows on the other side of the world. Welcome aboard. Welcome all. Welcome to Azamara Club Cruises®. We’re not all talk. 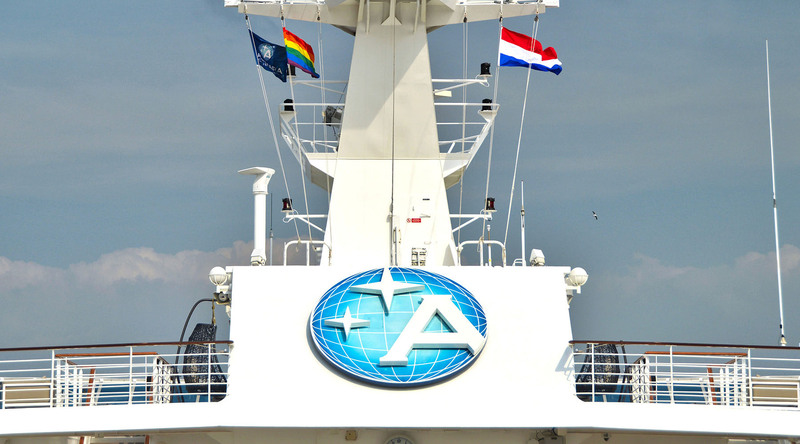 Take a look at our most recent Pride cocktail party aboard the Azamara Journey®, and an uplifting moment when we raised Pride flag above the ship during our stay in Amsterdam. Explore the world and bring our authentic service with you every step of the way. When you embark on a journey with Azamara Club Cruises®, the experience doesn’t end when you depart a destination. Our impeccable onboard amenities and modern service means everything you could ever need—and want—is included. Treat yourself to a room with a view—for less! There are plenty of ways to explore the world, but there’s no better way to experience local life on all seven continents (and watch it all come into view) than from the comfort of a balcony on your boutique hotel at sea. Book a Club Veranda stateroom on select voyages by December 7, 2018, and pay the price of a Club Interior. Isn’t it nice when you get upgraded twice?